In my laptop dell (Inspiron 13 7000) Im getting problems when adjusting Screen Brightness. 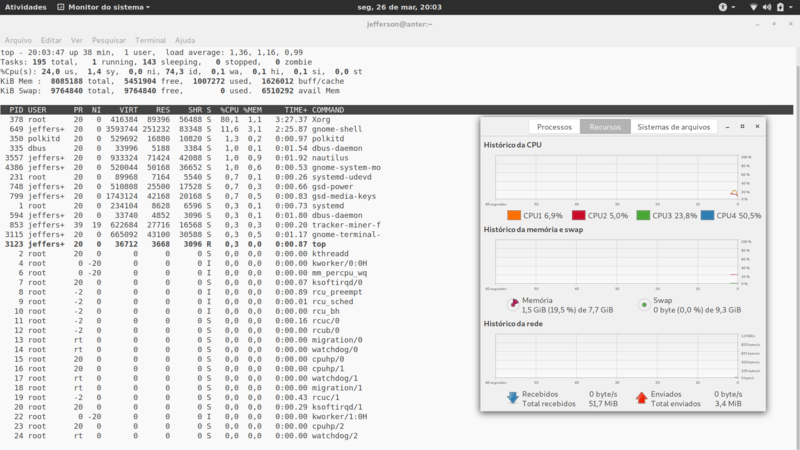 When Im running Live with Gnome it works perfecly (quickly), but when I install it doesnt, system uses 100% of CPU for a while, everything becomes Slow. Yesterday I was trying Manjaro, and I tested with all kernels available in Manjaro Settings. Same problem... I tryied Condres OS too, Same problem. (Live ok, after install slow) So I choosed Install Arch Linux, I just installed it, and Gnome Its working perfectly, I need help to fix that problem. At Arch Linux it works fast at Xorg and Wayland. so I have no ideia how to fix that. I want back to use Antergos. What should I do to fix that? Was that machine with windows pre-installed and working ? While playing with the brigthness buttons look at what is going on in “top” and if Xorg.0.log in spamming errors. Then report it here. @sushi Sorry for the late to answer, I was in a travel and now I installed Antergos again. 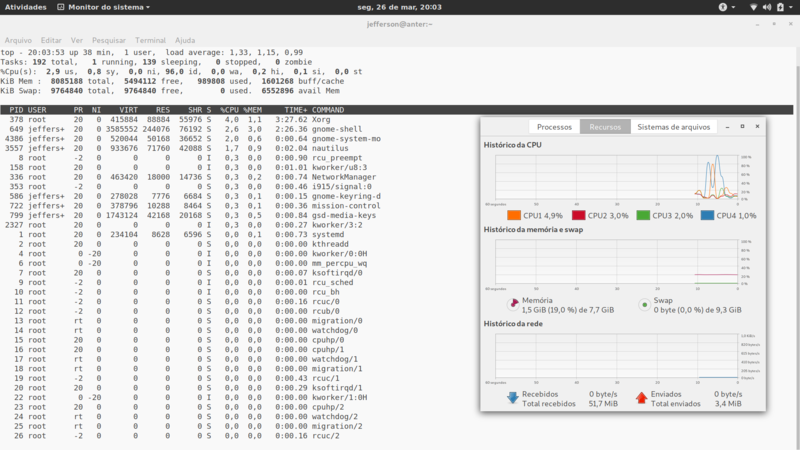 All applications running was: Gnome-terminal with top and gnome-system-monitor. If I change the brightness without stop It works ok, (no freeze) but CPU goes to around 80% while doing brightness ++++ ----- . If I adjust volume or wait for 1 minute or more to adjust again, it will freeze. Ok, put the results of the commands between </> because as it is now it’s unreadable. Then I’ll take a look. Ask the admins to put your logs in the precedents messages into </> if you don’t know how. @sushi The logs are too big, there is a forum limitation for characters. It can’t be at google drive, as they are in the link above? Which is directly related to events like brightness +/- and other events. Installing acpid and remove it if it doesn’t work sounds easier than going to find out why and how the SUPER GNOME MACHINERY doesn’t manage that crap as on the papper. I even don’t speak about the super bioses provided by dell made by feet and dipper ! Even in Xorg, when I try to adjust the brightness at top bar (close to power off buttons in gnome) it works, adjusting the brightness is a little laggy but it do not freeze. Should I try to test another DE like Deepin, KDE? Is acpid installed or not now ? I would like to see what journalctl -f says when you press the brightness buttons +/- . After the nex boot or reboot, post the contant of journalctl -b. In the BIOS do you have any key setting like “Multimedia Key Behaviour”, if yes, try Function Key.